This client has a weekend retreat near Bowland Bridge in the Lake District. When faced with a quotation of almost £50,000 for a connection to the electricity grid, he had to look for another solution. 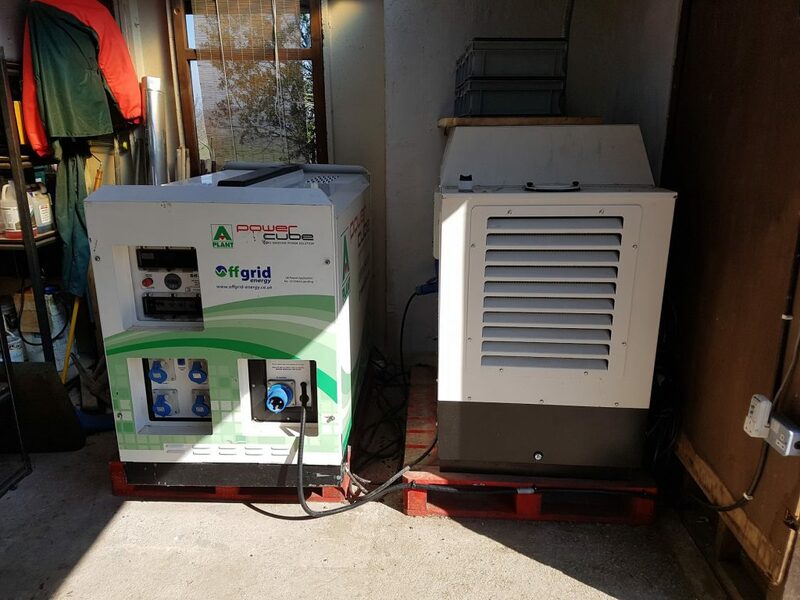 He purchased a Grid-to-Go mobile power supply along with a 20kVA diesel generator. The generator charges the battery pack in the Grid-to-Go, then the power can be silently used on-site. Two integral inverters supply mains electricity. Whilst the solution had been working well, the client wanted a quieter, cleaner and cheaper way of keeping the batteries charged. He approached us for a solution. The Grid-to-Go uses 6V gel type lead acid batteries, configured in a 48V arrangement. There is 33 kWh of total storage capacity but lead acid batteries should not be discharged below 50% or they will be damaged. 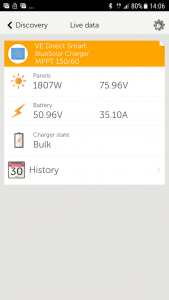 The usable storage capacity is therefore 16.5 kWh. 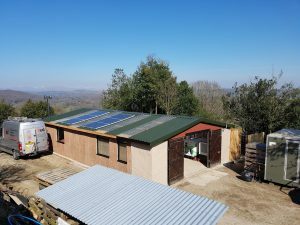 We calculated that a 3kW solar panel array would keep the batteries charged for much of the year, and vastly reduce the need to run the generator. The roof of the building has east and west facing elevations. It would be desirable to utilise both elevations as the east facing aspect would generate the most in the mornings, and the west facing aspect would be at its best in the afternoons. Solar charge controllers do not support multiple panel orientations, therefore we would usually require two separate controllers to have panels on two roof aspects. However, we selected Jinko solar panels with integrated Maxim optimisers. These optimisers allow the strings of panels to compensate for being connected to opposing strings with no loss of yield. We designed a system of 12 x Jinko 260W polycrystalline solar panels with Maxim optimisers, together with a Victron BlueSolar MPPT charge controller. We installed the charge controller inside the Grid-to-Go. 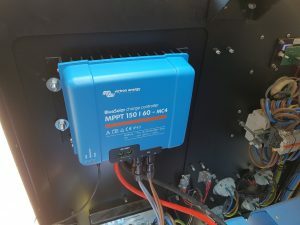 The charge controller connects to a mobile app via bluetooth for setting up and so that the battery charging can be monitored.